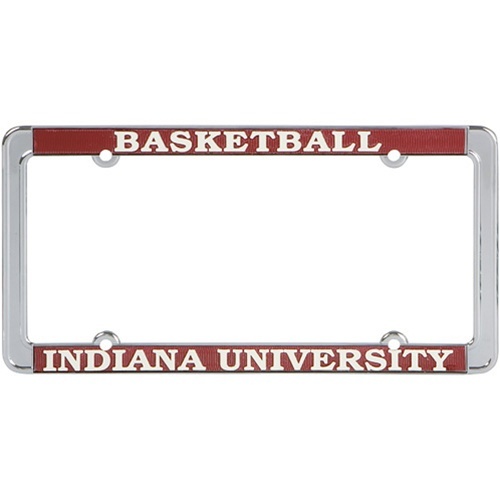 These beautifully crafted license plate frames are made of polished chrome on a zinc casting. They have a striated crimson background behind raised white topped lettering. 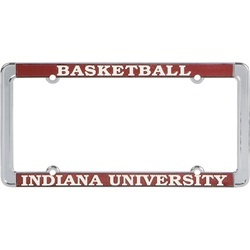 They are purposefully made with a thinner border so as not to obscure the actual license plate.